Speed Sniffs are a way to bring you ‘to-the-point’ fragrance reviews that are quick and easy to digest. They are perfume reviews without the faff. 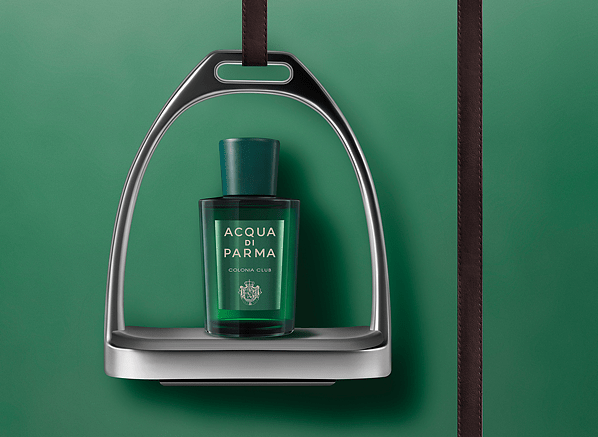 The brand new net-cologne from Acqua di Parma – Colonia Pura. Reviewed. On Escentual. Clicky here to read. I bloody love Acqua di Parma. Everything they do is so refined, so luxurious and well, so Italian. They have a nose for beauty, presenting gorgeous, uncomplicated scents in handsome packaging. So yes, I always have time for Acqua di Parma’s many offerings, including the summer holiday tones of the Blu Meditteraneo range which celebrates the wonders of Italy via a series of citrus-centric haikus inspired by the Italian countryside. They are bottled sunshine and they are lovely. You may remember that one of my favourite fragrances from 2014 (a little while ago, I know) was Acqua di Parma’s Rosa Nobile. In fact, in The Candies that year, Rosa Nobile was one of my honourable mentions for Best Mainstream Feminine and it also found its way into my Guide to Rose as the ‘Straight-Up Rose’. Why? Well it presents a glassy pink rose in its most pure and perfect form, not to mention that fact that it simply smells so darn pretty I want to marry it. This year, Acqua di Parma are continuing their Nobile Collection with the launch of Peonia Nobile – yet another ode to one beautiful flower. Without giving too much away, this noble peony is just as gorgeous as its rosy sister and it serves as further proof that Acqua di Parma really do know how to take the simplest of things and present them with a beautiful flourish. Click here to head on over to Escentual to read my full review of Peonia Nobile. Passport, pants and perfume, that’s all you need in your luggage when travelling. Of course, when brining the essentials you want to make sure that you pack the right things, which means it pays to select the right fragrances for that trip away. I always pack something from Acqua di Parma because they offer such beautifully easy to wear scents that sing under the sun and their latest, Cedro di Taormina is no exception. In fact, it’s the perfect thing to kick start your summer. Check out my full review over at Escentual by clicking here. I’m starting to really get into Acqua di Parma as a fragrance brand. Their classic Colonia is an iconic eau de cologne that’s difficult not to love and last year’s Rosa Nobile has quickly made its way into my regular rotation. There’s an effortless simplicity to all things Acqua di Parma that appeals to my calmer and more refined sides. Of course, they may be a paired-back brand, but that doesn’t mean that Acqua di Parma is exempt from releasing lots of flankers, and their famous Colonia is available in a number of interpretations, ranging from intense versions to oud and leather fusions. This summer, Acqua di Parma are extending their fragrant wardrobe by launching Colonia Club, a new twist on Colonia that is inspired by the idea of an private members sports club. The result is a surprisingly complex eau de cologne that is somewhere between a salty marine scent and a minty fougére. I think its great and it also proves that sporty fragrances don’t have to smell like sweaty Lynx-soaked boys (or Axe-soaked for my American buddies). Click here to head over to Escentual to check out my full review.